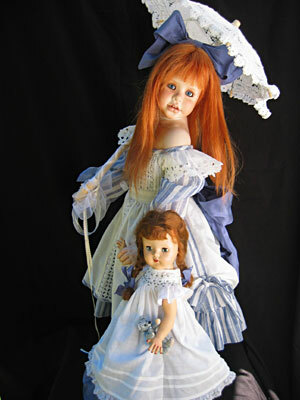 This stunning red head girl holds hands with her cute 1940's era "walking" dolly. (That I found in Paradise CA.). Melinda's pinafore is created from a real Victorian child's dress; she also has a pretty white lace parasol.